Hey, hey friends! I hope Monday is off to a great start for you! We woke up to thunderstorms and rain but highs in the 60's! Can't beat that in February! It was ABSOLUTELY BEAUTIFUL this weekend. High's in the 70's in Iowa, in February- almost unheard of. We took full advantage of the weather and spent A LOT of time outside! 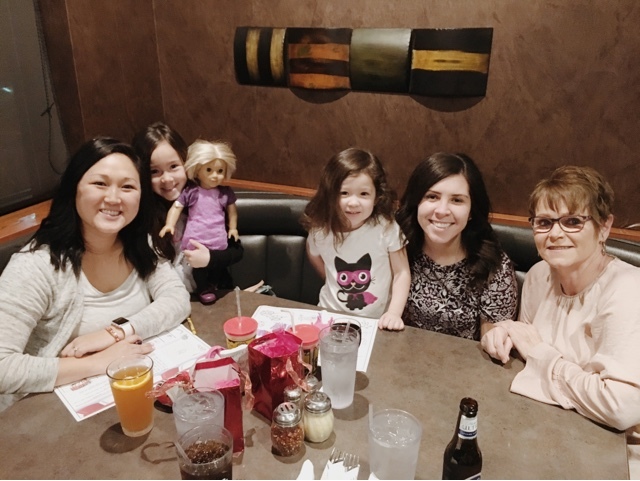 Friday night, we went to a local pizza place and celebrated my sister's and mom's birthdays. We ate till we were stuffed and headed home to get the girls in bed. On Saturday, I made this for breakfast. 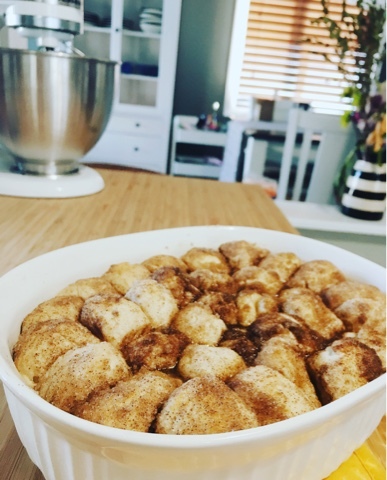 It was a mix between monkey bread and donut holes and it was so easy! They can all touch, just move them around until they all fit! The girls gobbled it up and then we got ready for the day. Sophia and I headed to her first piano lesson- she was SO excited and had been counting down the days. 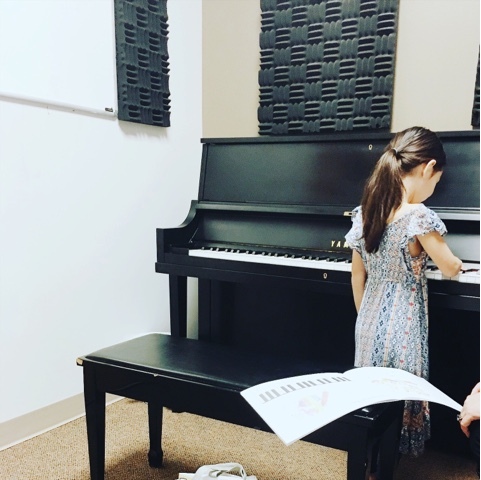 I got to sit in the room while she had her lessons and I was so surprised at how fast she picked it up. The first lesson was mostly getting acquainted with the piano, learning about the finger positions and beginning to learn about the keys. She has homework every week to complete as well as practice. We don't have a piano but it's something that we'll need to look into if she continues with lessons. When we left, she exclaimed, "I liked that! I like Dr. Grant!" And let's be honest- seeing her sitting at a piano was just about the cutest thing ever! After piano lessons, they're only a half hour, we headed home to scoop up WM and Saidey to head to my aunt's house. It was so nice to sit out on the deck and hang out with family. The girls played outside pretty much the entire time we were there. With the sun glaring, I can't believe I'm going to say this but it actually felt HOT! 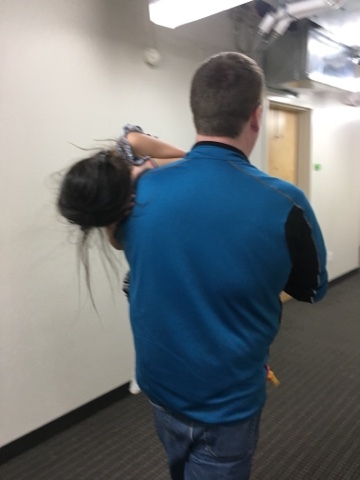 We ran to my mom's quick so that WM could help her with her TV set up and then we headed home and had a little quiet time. The girls were quite tired and so we had a little later dinner. It was a quiet evening in. Sunday morning was church and then we stopped at the Hyvee Market Grille for brunch. 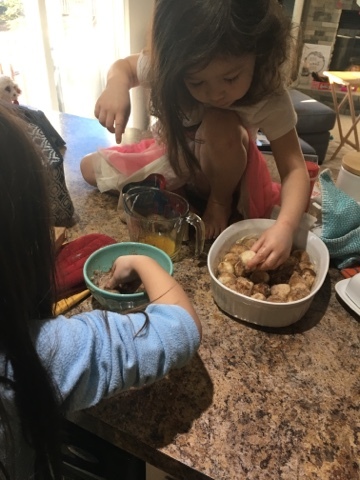 After some bacon and pancakes, we ran home and the girls played outside while I started cleaning and working on laundry. Our day consisted of mostly playing outside, cleaning and laundry. The windows were open and the dog and girls were going in and out from the deck and it was exactly what Sundays are made of. This adorable set was included in Saidey's Mac and Mia box. 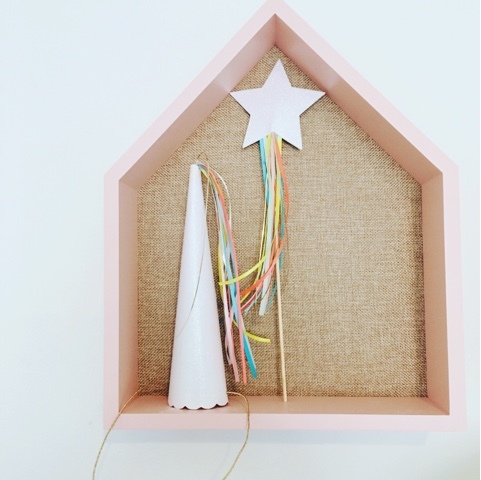 It will be a perfect addition to her magical unicorn birthday party next month! I got home in time to help with baths, books and bed. The girls rested well and I think we're all ready to start the week! 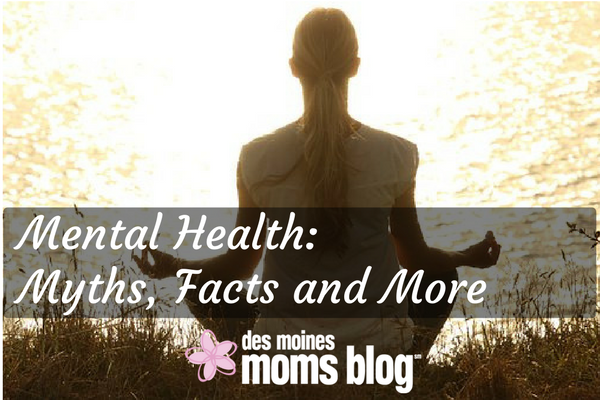 Also, I'm over on Des Moines Moms Blog today with a post about mental health. 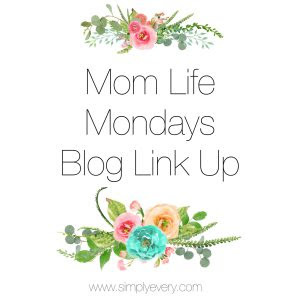 Don't forget to check it out!